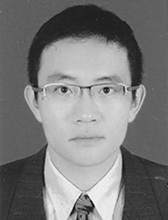 Bo Jiang is a Graduate Research Assistant at START and a doctoral student in the Department of Criminology and Criminal Justice at the University of Maryland. Prior to joining START, he has taught two courses, “Macroeconomics in the Global Economy” and “Macro and International Economics” at the National University of Singapore Business School. Bo’s research interests are in the areas of transnational crime, economics and statistics. Bo is a native speaker of Cantonese and fluent in Mandarin.